Good evening. It's a pleasure to be here once again for the annual Hong Kong Information and Communications Technology Awards Presentation Ceremony. This year marks the 13th edition of the event. Let me say upfront how much I enjoyed meeting the grand award winners earlier this evening. It was a welcome opportunity to see the faces behind Hong Kong's future. One among them will take home the "Award of the Year" honour, and I look forward to presenting that much anticipated award in just a few minutes. 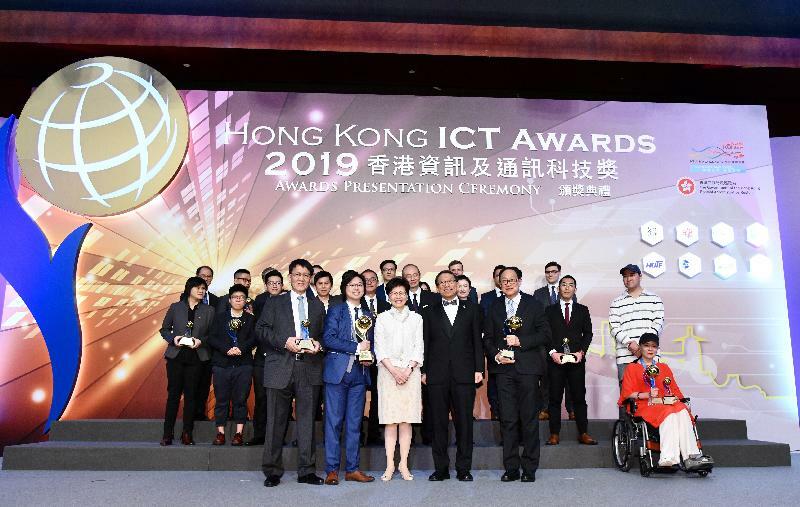 During my chats just now with the award winners, it struck me just how much the ICT Awards reflect Hong Kong's business and community life. The award categories include digital entertainment, fintech, start-ups, smart business, smart living, smart mobility, smart people and student innovation. In short, there is very little in the Hong Kong economy and community, in our business and social lives, that doesn't look to technology for its future and its success. That is why my Government has invested about HK$100 billion in innovation and technology (I&T) programmes and initiatives, from promoting R&D to boosting our research, technology and science infrastructure and nurturing talent. That commitment is slowly paying off, and this gala evening may just underline that. Tonight, the spotlight is on ICT, a critical I&T pillar and a key contributor to such sectors as fintech, healthcare, robotics and artificial intelligence. ICT is also a core component in many smart city applications. 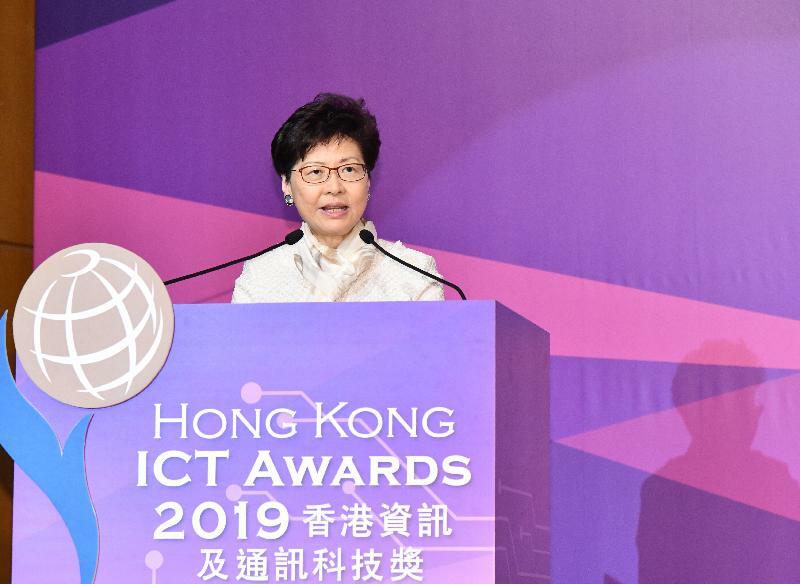 In the 2019-20 Budget, we allocated HK$6 billion to boost our ICT system's hardware and to develop talent. We also set aside HK$5.5 billion for the expansion of Cyberport, including its Smart-Space, which will offer more opportunities for start-ups. Actually, I recently paid a visit to Smart-Space 8. It's located in a revitalised industrial building in Tsuen Wan, created under the Government's Space Sharing Scheme for the Youth. There I had the pleasure of meeting a number of young entrepreneurs, and I'm pleased to see one of them among this evening's award winners. Rest assured, we will continue to create such facilities for our start-ups and, no less important, enhance R&D opportunities in our universities. This year's budget, let me add, allocated HK$500 million for the establishment of information technology Innovation Labs and related activities in all publicly funded secondary schools. Our goal is to stimulate students' interest in I&T, particularly in such areas as artificial intelligence, blockchain, cloud computing and data analytics, and encourage the talented students to pursue a career in those fields. 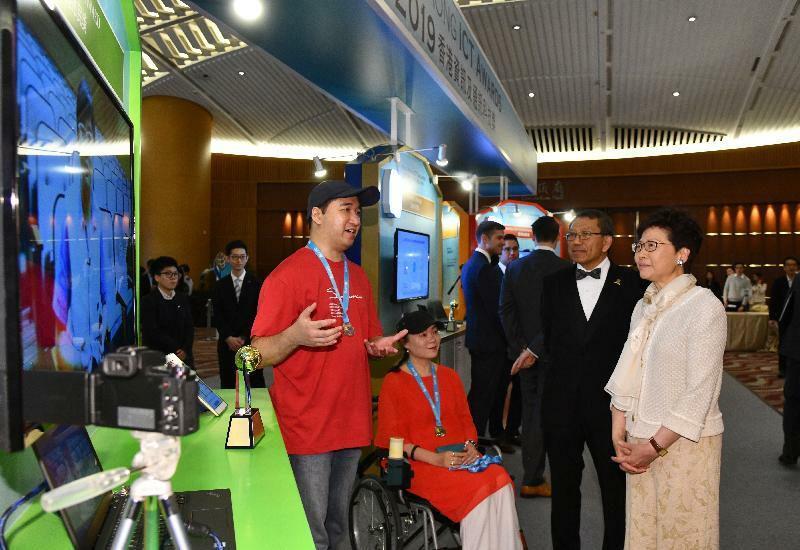 Speaking of careers for young people, the Guangdong-Hong Kong-Macao Greater Bay Area will vastly expand career opportunities, especially for our young people in the coming years and decades. That includes the I&T sector. To start with, the Greater Bay Area, with a population of 70 million and a collective GDP worth some US$1.6 trillion, represents a huge market for our I&T innovations. Further, the Mainland cities in the Greater Bay Area are renowned for their advanced manufacturing capability, while Hong Kong's deep and liquid capital market provides an excellent platform for raising funds. The Greater Bay Area will therefore be the perfect place for innovators to turn their idea into products and services. In addition, we have put in place various support schemes for our young entrepreneurs. Just last month, the Guangdong province announced that they would offer young entrepreneurs from Hong Kong and Macao the same training, capital and rental support as those available to Guangdong young people. We are grateful to the Guangdong Provincial Government for this initiative, which will provide an extra incentive for our young people to pursue a career in the Greater Bay Area. In short, ladies and gentlemen, we are living in an era of opportunity. With their innovative products and services, this year's award winners have shown that they have all it takes to succeed. I challenge them to continue their commitment to I&T excellence, and create a better future for all of us. Finally, my thanks to the committees and judging panels of this year's ICT Awards. 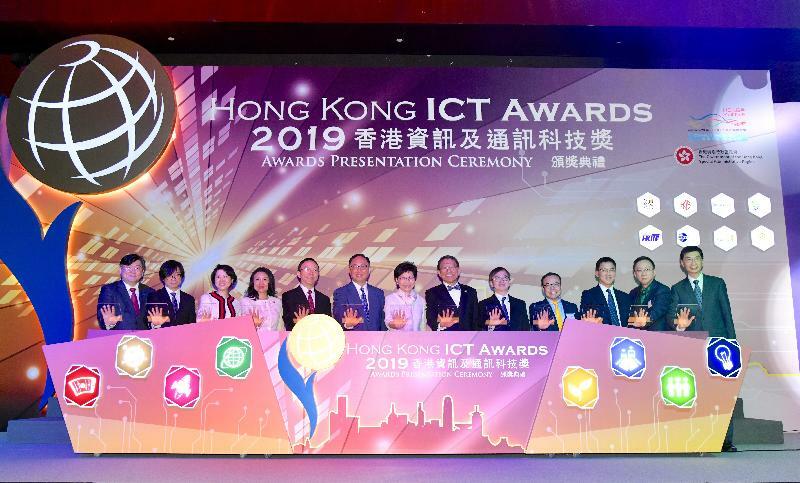 I am grateful as well to the organisers of the eight award categories and to many others for their considerable time and effort in making this year's Hong Kong ICT Awards a resounding success. I wish you all a very enjoyable evening. Thank you very much.